Looking for Bus Box, Tap & Terminal Boxes? Get a quote fast. What do tap boxes do? A terminal box, or a tap box, is an enclosed, non-fusible bus plug used to feed bus duct systems. Tap boxes are also split up into two categories: plug-in tap boxes and end tap boxes. Plug-in tap boxes connect the busway to a bus plug. End tap boxes are attached to one or both ends of a plug-in duct run. 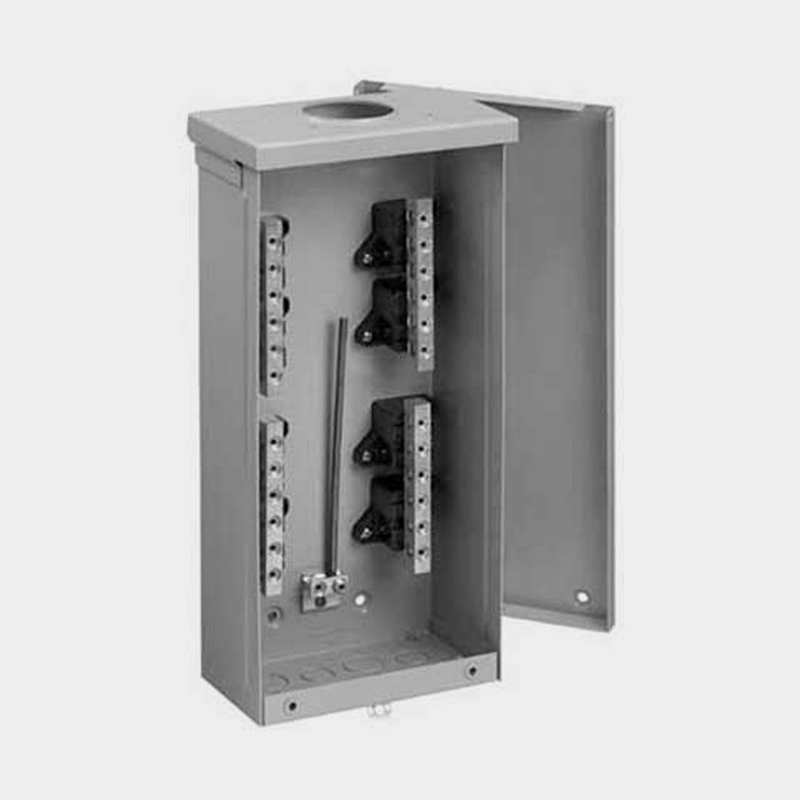 Used across industrial and commercial applications and wherever bus duct systems are found, busway tap boxes typically carry a system of voltage of 600V with a number of current ratings ranging anywhere from 400A to 1600A. What to look for in a busway tap box. Bus duct tap boxes come in a variety of types, sizes and ratings. For example, bus duct tap boxes can be rated for both indoor and outdoor use as long as they are properly and safely enclosed. They can also be outfitted with metering provisions. It’s also important to differentiate between end tap boxes and center tap boxes. Center tap boxes are non-fusible devices that are used when circuit protection is not required; however, they are not located at the ends of the busway run. These feed the circuits from the center of the busway. End tap boxes are located at either the beginning or the end of a busway run. Your next tap box is waiting for you at Bay Power. No matter what your application, requirements or specifications, Bay Power has got the tap box for you. Available across a number of voltage and current ratings, our extensive selection of tap boxes includes industry-leading bus duct tap box manufacturers like Square D, ABB, Siemens, Starline, Eaton and more. All of our tap boxes come with Bay Power’s one-year replacement warranty and lightning fast shipping, so you can count on us to deliver on quality product when and where you need it most. Before Donna founded Bay Power in early 1992 (formerly known as Bay Breakers) she spent the better part of two decades racking up experience in various aspects of the electrical supply industry. Starting out as a receptionist, she worked her way into every department in the supply house world, from purchasing, to operations management, outside sales, and everything in between. In an industry that has always been predominantly male she embraced the challenge of opening one of the first female-owned supply companies in the nation. The goal was to serve an obvious need in the marketplace, but more importantly to create a company with a strong family atmosphere - an extended family, if you will, that her children and grandchildren would be proud to carry on after her. In a blink of an eye 25 years have flown by and Donna's certified Woman-owned Small Business remains very family oriented. She's transitioned from the CEO role to CFO and focuses most of her time on the accounting and financial side of things. She works closely with her sons on a daily basis on various organizational projects and makes it a point to treat all employees like family, including some of her grandchildren, who also happen to work at a few of the company's locations. Donna enjoys spending most of her time outside of work with many of the same family members and friends she sees at work. Whether it be a family barbeque, a birthday party, a soccer game, you name it. She'll also crochet a mean blanket for you if you ask nicely. The electrical supply industry is all Tyson has really ever known, starting out part time in the family business during summer break as a teenager in high school, while also working part time with an electrical contractors union for field experience. He decided to join the family business full time in 2003. Tyson quickly found his niche in the organization, focusing heavily on the warehouse and tech room operations, finding ways to improve efficiencies and maintain a high level of quality. This focus led to a reorganization of the warehouse, new shelving, lighting, test equipment, and improved procedures to help boost the company's capabilities. Within a couple years he found himself applying his vision to all branches in the organization, in addition to helping with sales and purchasing. In 2013 Tyson took on the role of Vice President for the company and continued to oversee quality control and warehouse operations before being named President two short years later. He now works closely with branch managers and technical personnel to ensure consistency and quality standards across all shop locations, with an emphasis on training and certifications. In his spare time Tyson enjoys getting out and riding dirt bikes, wake boarding, snow boarding, back packing, and just about anything else that gets him outdoors. He's also a huge fan of the San Jose Sharks, 49ers and other Bay Area sports teams. Tom spent several years in outside sales before finally joining the family business in 1998. He used that sales experience immediately to help drive growth around the company's regional headquarters. Within a few years he moved into the position of VP of Marketing and focused his efforts on bringing the company online and generating sales through the internet. Roughly 11 years after joining the team Tom took on the title of President of the company. Much of his focus has remained on marketing, technology and business development but he also has his sights set on expansion opportunities. After a couple of successful mergers, the company now has multiple locations in Northern California as well as Fort Worth, Texas. He also drove the opening of the new warehouse location in Roseville, CA, which opened its doors to the public in late 2013. Running a successful family-owned and operated business requires a solid foundation. Tom (now the company's CEO) works closely with Tyson (President) and Donna (CFO) to ensure the business is constantly moving in the right direction, achieving strong growth while maintaining a family business culture. When he isn't at work, Tom enjoys spending quality time with his family. Roy Butcher, Donna Butcher’s grandfather, started his career in the electrical industry in San Jose as sole proprietor of Roy M. Butcher Electric. As an electrical contractor in his early days, he would arrive at job sites via bicycle, eventually graduating to a Ford Model A.
Roy Butcher receives his electrical contractor’s license, just the fourth contractors license issued in California! He worked on many highrises and large commercial buildings in the Bay Area, and even provided electrical work during construction of the Bay Bridge. Donna Butcher, never involved in her grandfather’s business, struck out on her own and created Bay Breakers—an electrical supplier specializing in circuit breakers. Her early clients were electrical distributors and contractors in San Jose, though she quickly expanded to nationwide markets. Tom Butcher, Donna’s son and now CEO of Bay Power, came on board in the sales and marketing department. In a very short time, Tom lead the development of a custom-built computer system for ordering that revolutionized how the company handled orders. Tyson, another of Donna’s sons and now President, came on shortly after in the warehouse department. Showing an aptitude for engineering, Tyson increased their standards and of their testing and repair capabilities. Donny Futch, Donna’s late son, came to her with the idea to start another branch of the company in Modesto, where he built it from the ground up. The Butcher family re-launched their company under the current brand, Bay Power, with four locations in two states. 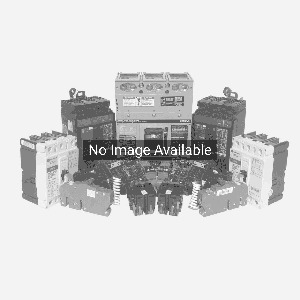 In addition to supplying new, used, and obsolete circuit breakers to thousands of organizations nationwide, Bay Power is now a UL 508A Listed panel shop. The name Bay Power represents a broad range of expertise, experience, and innovation in the electrical industry.